The Sermon on the Mount is known as the greatest sermon ever preached because it came from the lips of the greatest teacher ever. 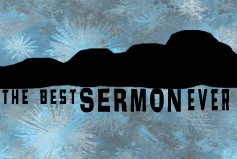 The Sermon on the Mount is one of the most profound sections of the Bible, because in it we find Jesus' teaching in its most distilled, compacted, and congealed form. In the Sermon on the Mount, Jesus shows us what it tangibly looks like to be His followers and describes the defining marks that distinguish believers from non-believers. During our time we will be hit with extreme standards and yet at the same time, we will also be met by God’s radically extreme grace.